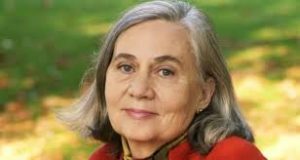 In the Nov. 9, 2017 issue of the New York Review of Books, author Marilynne Robinson writes an impassioned and thoughtful defense of the humanities and liberal education in general (read it here). She reminds us that liberal education—under attack from many quarters in our rapidly deteriorating intellectual climate—is “an education worthy of a free people.” As she says, “[T]he object [of political attacks on public higher education in general and the teaching the humanities in particular] is clear—to create a virtual army out of the general population who will compete successfully against whomever for whatever into an endless future, at profound cost to themselves.” Education as boot camp for robot-like workers in the perfect capitalist economy. The attack on the humanities arises, she contends, out of an insistent belief that public education should be oriented only to “skills training” for the competitive economy. This article of faith is in turn driven by a world view (dare I say “religion”?) that defines competition as the only meaningful criterion of value. In defending the humanities and liberal education, Robinson notes that “literature had been made a kind of data to illustrate, supposedly, some graceless theory that stood apart from it, and that would be shed in a year or two and replaced by something post- or neo- and in any case as gracelessly irrelevant to a work of language as whatever it displaced.” We’re all familiar with “modernism,” “post-modernism,” “constructivism,” “post-constructivism,” “neo-post-constructivism,” and on and on. Trendy—and empty—when you set those theories side by side with Hamlet, For Whom the Bell Tolls, From Here to Eternity, or Ulysses. “. . . the most pregnant evidence we can have of what is possible in us.” A call to grace in a graceless time. Author Bill PercyPosted on Wednesday, October 25, 2017 Wednesday, October 25, 2017 Categories Writers and Current EventsTags capitalism, competition, humanities, liberal education, Marilynne Robinson, public universitiesLeave a comment on Why Teach the Humanities?